Positive economic reports out of Europe and China coupled with renewed hopes for the US-China trade talks spurred a continuation of risk-on market sentiment. The dollar declined and global stocks and bond yields moved higher. 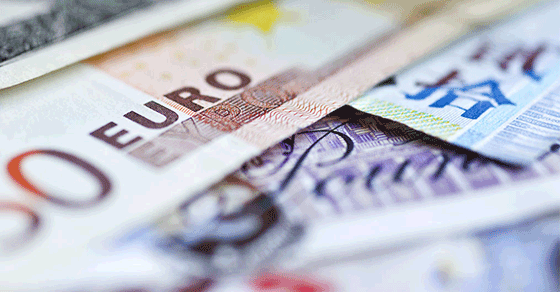 The euro showed gains on strong economic data. The UK pound rallied as Prime Minister May plans to meet with Labour Party Chief Jeremy Corbyn to break the Brexit stalemate. "The only sure weapon against bad ideas is better ideas." The market’s risk-on sentiment continued overnight, driving the dollar lower, US treasury yields higher, and US equities opened higher today. China’s Vice Premier Liu will meet with Steven Mnuchin and Robert Lighthizer today in Washington. Auto experts said that if Trump shuts the Mexican border, US auto production would grind to a halt within a week. UK pound rallied as Prime Minister May plans to meet with Labour Party Chief Jeremy Corbyn to break the stalemate and avoid a no-deal Brexit. Odds makers are raising bets on a softer form of Brexit. It was unexpectedly strong economic data out of eastern Europe – Hungary, Czech Republic and Poland – that energized European equities and the euro today. After touching $1.12 in Asian trading, the euro rallied and tested resistance at $1.1250 in European trading. Higher oil prices boosted gains in the Canadian dollar; it traded briefly below C$1.33 overnight. Canada’s economic calendar is empty today. India’s general elections next week are making emerging market investors nervous as a popular measure of geopolitical risk for India leapt higher. The CNY made slight gains. A Financial Times report citing people briefed on the US-China trade talks, said that most of the issues have been resolved surrounding a comprehensive trade deal. How to verify China’s compliance is one of the last hurdles. Unexpectedly strong results from China’s service sector led to 1.3% gains in Chinese equity indices.